I created my own stencil using the Tiny Triangles die and used some Wendy Vecchi embossing paste to make the pattern. I heat embossed the sentiment onto some black card stock and die cut the Hello word from some gorgeous Christmas Foil paper by American Crafts. I'm going to put this card in the latest Less is More Challenge which is all about celebrating it's 200th challenge. That is pretty awesome! I hope you can play along with us at Little Tangles. Have a great day! 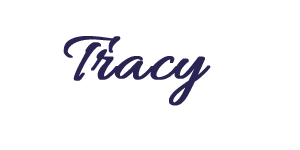 Terrific Tracy, love the bright happy hello! 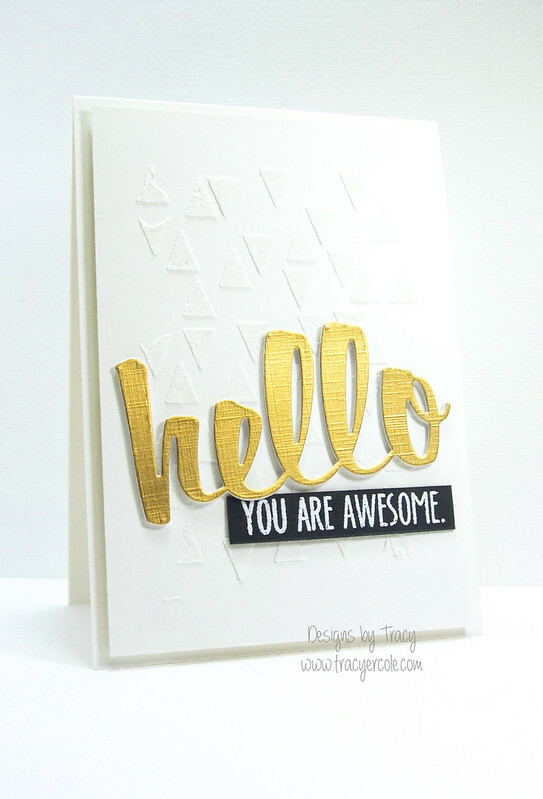 Super stylish creation Tracy, love that diecut! This is a beautiful card, the embossing paste looks terrific! Gorgeous card! Love all the texture, too!